How long do you think you can go without water? 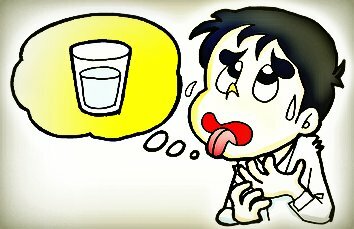 Absolute fasting or dry fasting is where one goes without food OR water for a period of time, usually anywhere from THREE-TO-FIVE days. It is the toughest of all the fasting disciplines and is often used to produce quick body detoxification. A dry fast has also been known to help people battle yeast infections as Candida Albicans, often referred to as Thrush. There are some who maintain that absolute fasting could cure the common cold if practiced when symptoms first emerge. I have read cases of persons who have done an absolute fast for three-to-five days and were cured of life-long allergic reactions. The premise to the healing power of dry fasting is that, since the body is not receiving food or hydration, the work of the digestive system is dramatically reduced. Therefore, it is believed, the immune system can operative with greater efficiency because of the lessened workload. While with Juice Fasting and Water Fasting the digestive system slows down considerably, a dry fast reduces body functions to even lower levels, thereby further increasing the immune system's healing ability, it is believed. More commonly - and historically -, absolute fasting is done for religious reasons as you can reference in the Christian Scriptures: Ezra 10:6, Esther 4:16, Acts 9:9, Acts 27:33. You can go to Spiritual Fasting where I talk about a few biblical descriptions of this practice. 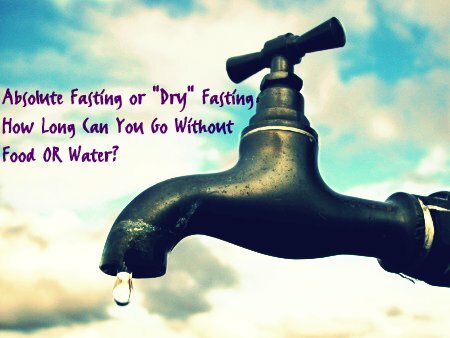 There are TWO types of dry or absolute fasting: RIGID and SOFT. A rigid one means the person does not eat, drink or is exposed to water AT ALL- even in the form of a shower, bath, face-wash, enema or colonic. No water outside or inside... period. With a soft dry fast, the person does not drink or eat either, but IS allowed to take a shower, bath, enema or colonic. Let me give you some insight based on my personal experiece with this extreme discipline. What you are about to read are excerpts from my fasting journals. Some of the depictions you will read may be disturbing, but I am not here to paint any rosy pictures. I am here to share with you the truth about these disciplines. It is then up to you to decide what you want to do with your own body. All I can ask you is to please be careful and ALWAYS make sure to follow the directions of your physician. Some years ago I decided to launch a RIGID dry fast because for months I had been stricken with severe Candida which caused me terrible allergies, sneezing, lack of energy, bloating and even worsened the depression I was battling with at the time. It lasted 72 hours, and I can tell you that it was much tougher (physically and mentally) than a 60-day water fast I had done the year prior. I was very gung-ho when I started the fast and felt very strong and motivated. Within two hours, however, the thirst started to hit me very hard. I drink a lot of water. It is almost second nature. After THREE hours I started to get headaches and became very irritated. I became restless and could think of nothing but water and food. I really wasn't hungry, but my mind would say: "Well, you should at least drink something, right?" It was very hard to fight-off the instict to want to constantly crack open a bottled water. Between the FOURTH and SIXTH hour of the dry fast, I urinated twice and recall starting to feel a pain in the center of my stomach and in my lower back. After SIX hours of absolute fasting I started feeling very weak and had to go to bed. I recall having some very ugly nightmares about demons chasing me and wanting to stick spikes through my legs and feet. I woke up abruptly just one hour later with an intense desire to urinate. I went to the bathroom. Then I found myself going to the fridge to drink water, only to remember that I was doing a dry fast. I had been on the wagon for EIGHT hours now and felt extreme thirst and anger. I did not know what to do with myself. The day was hot and I knew it was best to stay away from the sun, so I turned on the TV and decided to watch a movie "Moulin Rouge". It made me cry... I became very emotional and started thinking about the recent passing of a loved one. I recall feeling instense waves of anger and sadness. My journal does not say much about hours ten or eleven. I may have fallen asleep. But when I awoke after TWELVE hours of absolute fasting or dry fasting, the thirst was very strong - to the point of being unbearable. I believe in my case the initial thirst was stronger because I am such a water addict. The pain in my lower back and in my stomach had increased. I recall feeling dizzy and nausea came over me. I started thinking about how horrible it would be do die from dehydration. After about EIGHTEEN hours of absolute or dry fasting, my urine started to swell very strong and unpleasant ... like sulphur. I also errupted with diarrhea. I went to bed and by the Grace of God was able to sleep for four hours. When I woke up, it was 4:30am and I had been absolute or dry fasting for TWENTY-TWO hours! By this point I had gone way past thirst. I felt like my tongue was on fire... burning. My joints ached terribly, the lower back pain was very strong and pulsating. The urine was bright yellow and smelled like rotten eggs. When I had a bowel movement, the stench was horrific - total putrefaction. It was truly the most foul smell I had ever smelled coming out of my body. After TWENTY-SEVEN hours of absolute fasting or dry fasting, I was near physical collapse and could only feel comfortable laying down. I wanted so bad to take a shower. To at least feel water running over my body. Oh, to take a bath! How often we take basic things for granted! A glass of water... a shower. I had done them both countless times. I realized the deep arrogance in my heart. Always assuming that things would be there for me. Barely ever pausing to be thankful. I tried to focus on prayer during this time. But I could not get comfortable. Now I was cold AND sweating ... Oh dear God... please help me! I urinated for the last time after THIRTY-THREE hours of dry fasting and the smell was as bad as ever. The urine looked almost reddish. The pain in my stomach and lower back was almost crippling at this point and I could neither stand up or walk. Anytime I tried to move I would get dizzy and come close to fainting. I would pass out and come back to over and over. I was in a daze and now also had a fever. The diarrhea continued but it was less than before. I was sweating but was freezing cold at the same time. At FORTY hours of absolute fasting or dry fasting, I could not move. Every joint ached terribly, my head was throbbing and my face and eyes felt swollen. I called upon a friend who had years of expertise in fasting and he came to my bedside. After checking my vital signs, he concluded I was undergoing a sever detoxification crisis. I don't ever recall feeling anything that came even close to this type of discomfort when I was water fasting. But I decided to press on. If I was not dying, then I wanted to know where dry fasting would take me next. After FORTY-SIX hours of dry fasting I had an intense desire to move my bowels but sat in the toilet for a long time with no results. The urge was strong ... almost painful - right in the center of my stomach. I massaged my stomach with both hands, going from the upper side of the colon to the bottom part, and pressing down on the liver with both of my palms. I don't recall exactly what did it - but I went on to have a massive bowel movement. When I looked in the toilet, the stool was black - like charcoal. It was a round ball-like black mass of filth like nothing I had ever seen. Who knows how long that had been nestled in my body, I wondered. Afterwards I became very nauseous and vomited a deep yellow bile that smelled toxic, like metallic. I recall feeling that my throat, tongue and lips were being burned by the discharge. I fell asleep from exhaustion. The burning in my throat had gone down to my lungs. Every time I took a deep breath, pain would shoot from my throat to my lungs ... this was the lowest point. When I "came to" I looked at the clock next to my bed and saw I was at FIFTY-TWO hours of absolute fasting. Twenty hours to go. I got up and found myself actually able to walk around without dizziness. I urinated a very small amount with no toxic smell. I felt so good I actually decided to venture outside and go for a walk. The burning thirst was still there, but it had faded to the "background" of my body. It was uncomfortable but not unbearable as it had been the day before. Amazingly, the lower-back pain had notably waned. The stomach pain was gone. There was, of course, still a substantial sense of weakness. But it was manageable. I walked for almost an hour and came back inside when I felt the heat rise. The sweat on my skin felt good, yet it also felt acidic and burned my eyes. The thirst and weakness intensified and at FIFTY-EIGHT hours of dry fasting I went back to bed. But I was wide awake and could not sleep. My mind felt clear and I started thinking about lots of things I wanted to do, including launching this website you are now reading. I felt amazing ... I moved to my desk and was inspired to write the outline of what came to be the HOME page of this site. At SIXTY-FOUR hours of absolute fasting or dry fasting, I felt terrific. The thirst was strong, but I found myself able to handle it. My back did not hurt and neither did my stomach. I felt light and clear-headed. I was very weak and had to move slowly. Other than that I felt fine. I actually felt like I was floating on air for a moment. After several hours of writing, I fell into a deep sleep. 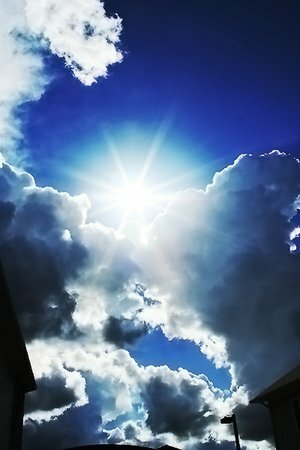 I dreamed of light all around me. It was nice. When I woke up I realized I had slept 4.5 hours. I was at 71.5 hours of absolute fasting. The time had come. Although I was tempted to continue because I felt well, I felt in my heart I had done what I had to do. I prayed and gave thanks and broke the fast with a glass of cool water. When the water touched my lips I literally felt the hand of God upon me. I felt it go down my throat and cover my stomach ... pure life injected into my entire being. Drinking that first glass of water was the most amazing feeling I had ever felt. Better ... much better than pizza and donuts! I have not had any Candida attacks for years, and lost a total of 18 pounds in those three days. Sure, most of it was water weight - but I do believe that absolute fasting was necessary for me at that particular point. Am I trying to say that you should go and try it for yourself? No, I am not. I can tell you what my experience was, but you - in your own mind - must determine whether this practice may be for you. This is the type of topic where I haste to give you any type of instructions because absolute fasting can be such a precarioius undertaking. I will, however, say this: Absolute or dry fasting should NOT be carried out hastily, or if you are a begginer. Start with a three-day juice fast, and then do at least a 48-hour water fast as preparation for absolute fasting. If you have decided that you want to do this type of fast, do a SOFT one and take it very slow and easy. A rigid absolute fast should be reserved as the very last recourse. Return from Absolute Fasting/ Dry Fasting to HOME.